NASA's deep-space probe zipped past to within 561 km as it picked up a gravitational speed boost to help it reach Jupiter in 2016. During the high-speed event, radio signals from Juno were carefully recorded by ESA tracking stations in Argentina and Australia. Engineers hope that the new measurements will unravel the decades-old 'flyby anomaly' — an unexplained variation in spacecraft speeds detected during some swingbys. "We detected the flyby anomaly during Rosetta's first Earth visit in March 2005," says Trevor Morley, flight dynamics expert at the operations centre in Darmstadt, Germany. "Frustratingly, no anomaly was seen during Rosetta's subsequent Earth flybys in 2007 and 2011. This is a real cosmic mystery that no one has yet figured out." Since 1990, mission controllers at ESA and NASA have noticed that their spacecraft sometimes experience a strange variation in the amount of orbital energy they pick up from Earth during flybys, a technique routinely used to fling satellites deep into our Solar System. The unexplained variation is noticed as a tiny difference in the expected speed gained (or lost) during the passage. The variations are extremely small: NASA's Jupiter probe ended up just 3.9 mm/s faster than expected when it swung past Earth in December 1990. The largest variation — a boost of 13.0 mm/s — was seen with NASA's NEAR asteroid craft in January 1998. Conversely, the differences during swingbys of NASA's Cassini in 1999 and Messenger in 2005 were so small that they could not be confirmed. The experts are stumped. Engineers and the flight dynamics teams watched closely as the new 35 m deep-space dish in Malargüe, Argentina, and a smaller 15 m dish in Perth, Australia, tracked Juno. 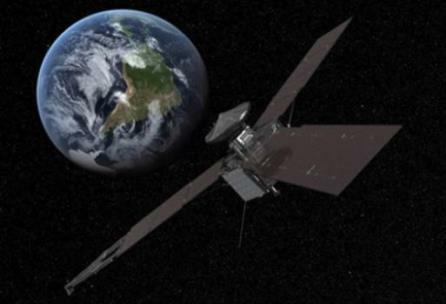 The stations recorded highly precise radio-signal information that will indicate whether Juno speeded up or slowed down more or less than predicted by current theories. The results are being studied closely by ESA and NASA as well as scientists worldwide, who are hoping to see whether the anomaly has again detected. "Our Malargüe station is designed to track very distant and relatively slow-moving spacecraft, while Juno will pass by moving very, very fast at just 561 km altitude," said ESA's Daniel Firre, responsible for the tracking support at ESOC. "This makes tracking Juno technically very challenging, but it's how the scientific process works. Gathering more data that can be analysed by experts is critical if we are ever to solve this perplexing mystery."